The implementation is quite easier than you imagined. Just pick the right version for you and add the code snippet right after the <body> tag in your site's source code. 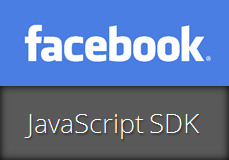 Specify your Facebook application ID here. I did it! I finally got the like button on my blog but I'm worried it doesn't work. I do have some likes but those have come from the facebook fan page directly not from people clicking "like" on my blog. The reason is you have implemented like button with thee reference to your Facebook page dear :) That's why it populates Facebook page fan count. If you wanna implement Facebook like button for Blogger posts, read Add Facebook Like Button for Blogger Posts. Well you even see the thumbnail image right here. The thumbnail issue as I mentioned seems to be solved for now, last night it was showing black and white exclamation mark in a triangle. i. Find expr:class='"loading" + data:blog.mobileClass'> in your template and remove it. ii. Find <body> in your template and replace it with <body expr:class='"loading" + data:blog.mobileClass'>. Thank you Mayura! It did help mate :D !!! I've been trying to place a "Facebook Comments Plugin" on my website for days now, I'm so frustrated. I'm using SeaMonkey. I copy the SDK code after my <body tag, and then the plugin code where I want it, and when I go back to preview mode, ABSOLUTELY NOTHING HAPPENS. Not even a blank space, nothing. It's like I have done nothing. I doing everything by the rules as Facebook commands, but no results. I have an APP ID and everything. Java Oracle is installed.... Everything. code that's giving the problem. I really appreciate your help ! Thank you so much ! ii. Add Facebook Comment plugin code to your site. Mayura, I'm so sorry, I sent you the wrong HTML. it ! Let me know please. Thanks. This is a great extension, very easy to install and works in minutes.Once you have designed your Facebook app this creates authorization much smoother. Can you give an example with more complete? You just need to add it to your site after including relevant details mate :) There's nothing you need to change or so. You're welcome mate :) Unfortunately I have no tutorial for Registration plugin. Also on Blogger if you use registration plugin, you need to have sign up form to make it worthy. Blogger itself has no way to register users. Anyway you may Google for it and there may be some resources on it. Most probably Facebook is thinking your site is a spammy one. Anyway is there any Facebook likes already or not? Try creating like box again and paste on your site to see if it works again. You can refer here and try creating like box too ~ How to Add Facebook Like Box to Your Website. If you have more questions about Like Box, post your comments there. You can take a web search for this purpose. Here's one related forum post ~ Store Facebook User Information in MySQL. It's the same Application ID I've mentioned here in this post :) You can get an App ID here - Facebook App for Web. Further, refer to the documentation for more information - Facebook Login Documentation.